Mary C. was the winner of the Private Ghost Walk Auction. She brought four friends with her. We pulled out all of our ghost hunting gadgets as well as the Raggedy Ann doll. We started at the big table on the main floor. This is a change from the regular path we take. The idea was to try to get the spirits to interact more. It worked somewhat. We will hear noises and soft voices. I saw two shadows peep out from the stacks while the group was still sitting and talking. Ursula and I both heard footsteps and a giggle from the Young Adult area while we were there as well. Mary and her husband felt cold spots. Tiffany said someone was walking with her. Ursula also felt someone with her. The Staff Lounge was very busy. The restroom did not disappoint. The gadgets really went off and a voice was heard in the hallway. Noises were heard in the Multi-purpose Room and two of us heard and saw something in the back hallway downstairs. The garage also had activity and Ursula seemed to be talking to a “cowboy” there. Every time she would ask a question the KII would light up to red. It would not any other time. I heard a voice by the garage door and someone felt a touch on their arm. Very good night. Tyler was the winner of the Sweetwater County Library System Foundation Private Ghost Walk auction. He and three others attended this walk. None of them had joined us before. They were very, very excited. This always seems to help bring the spirits in. Ashli was one of the attendees. She seemed to attract much of the ghostly attention. They liked her. We have noticed certain bubbly personalities attract the spirits. Ladies Room was activate but not overly. The Youth Service area was good. The KIIs lit up many times and on the ghost box we heard “captain” a couple of times. Ursula’s name was said once and I asked it to say her name again and it did. WOW. Ursula and Tiffany were my helpers and they both seemed to have spirits following them. The garage was really good. We saw a shadow and heard voices. Going up to the Staff Lounge we had activity in the stairs as well as the hallway. We all heard voices several times. The KIIS went nuts and activity was everywhere. It was very evident this was a very good Ghost Walk (one of the best ever). The only problem was we had to leave for the night. There was no telling how long the activity would have lasted. Way cool nigh!! **I used my digital recorder, camera and camcorder on most areas. The attendees also took photos. I have not had time to do evidence review yet but I will post when it is all in. It is my hope we will get some compelling evidence. 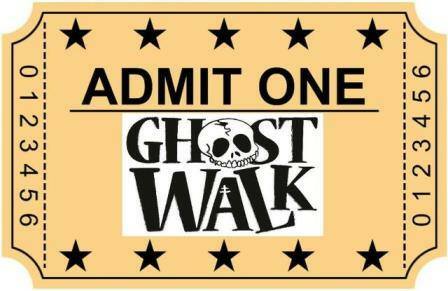 This is the first year we have started using the Ghost Walk Volunteers. We have a hand-picked group of eight. We rotate a few at a time for each Ghost Walk. Their names may appear often in the on-going reports. Emily, Tiffany, Ursula, Cheyenne, Hannah, Kenedie, Kyle and Shalise. As usual we had four tours. I guided tours 1 & 3 and Bianca Jorgensen did 2 & 4. Tour 1-Usually the earlier tour is a little quieter. This was the case this night. We did have some KII action, cold spots and unknown noises. There were many “newbies” during this walk. They were very quiet and did not join in the questions and EVP session much. I have not reviewed the digital record evidence yet or the video record. Tour 2-I sat this one out but I understand they used the ghost box in the back area of Youth Services. There is a small table and chairs there and the group sat and asked questions. For the first time “captain” came up several times. Tour 3-A couple people reportedly saw shadows in the stacks. Someone hear a little girl or young lady speak in or by the Lady’s Room. Several noises were heard in the Young Adult area. Some light play was seen towards the Front Desk area. The smell of tobacco was very evident in the Young Adult area but it moved around a bit, then it just disappeared. The restroom I the Staff Lounge was really great. Lots of hits on the KIIs and EMF meters. A man, Tracy Clements, stated that he saw a shadow move in the main floor of the library. I told him to take a photo. He sent it in and it looks like a “spaceman” so that is what I have dubbed it. Wow. Good stuff. Tour 4-I tagged along for this one. Several people heard voices and at least two saw shadows. I saw shadows in the stacks. One lady said she felt like she was being touched on the arm. We had good luck with the ghost box and had a very unusual happening. One lady asked while in the Staff Lounge if she could try to talk to her son that had dead. We said of course. She asked for him and every device in the room lit up. We also thought we heard the ghost box saying James which was his name. No dry eyes in the room at that point. Tour 1-For this group, 2/3 were new to the Ghost Walks. 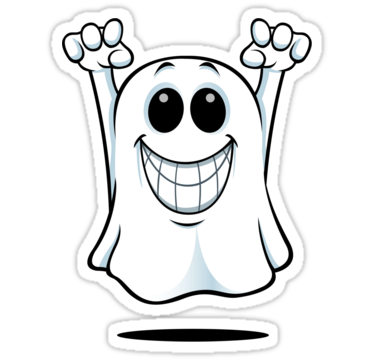 There were several in Halloween costumes which I don’t know if it helps or scares away the ghosts. The KIIs lit up several times in the Ladies Room and one man stated he felt cold. As we moved around the library we smelled tobacco again. No activity in the Young Adult section at all. It felt “dead” (no pun intended). The Staff Lounge was more active. We had lots of KII hits and the EMF detector with the orange dome sounded off many times. The ghost box said “Ursula” several times. This is not a common names, so we were very pleased. Tour 2-Bianca was working with the ghost box and received several names – James, Captain, Ursula, Annie, and one lady’s name I can’t remember. It was a new one. The KII’s were very active most of the tour. The Staff Lounge seemed to be the most active. In the restroom there was once again tons of activity. No one wanted to leave. That was the best! Tour 3-Voices, shadows and cold spots in several places-Ladies Room, Youth Services, and Staff Lounge. The KII’s were generally lighting up most of the night. We tried the ghost box and got sentences but we could not make it all out. That always makes us nuts. We heard a man and a woman. Also what seemed like a child spoke. We asked are you a child and we heard “yes”. The orange domed EMF detector sounded and lit up many times in the Staff Lounge. The ghosts seem to always be up there. There was the sound of running in the hallway by the Staff Lounge as well. From the Sweetwater County Library System.